I have worked and confirmed all 40 CQ zones. 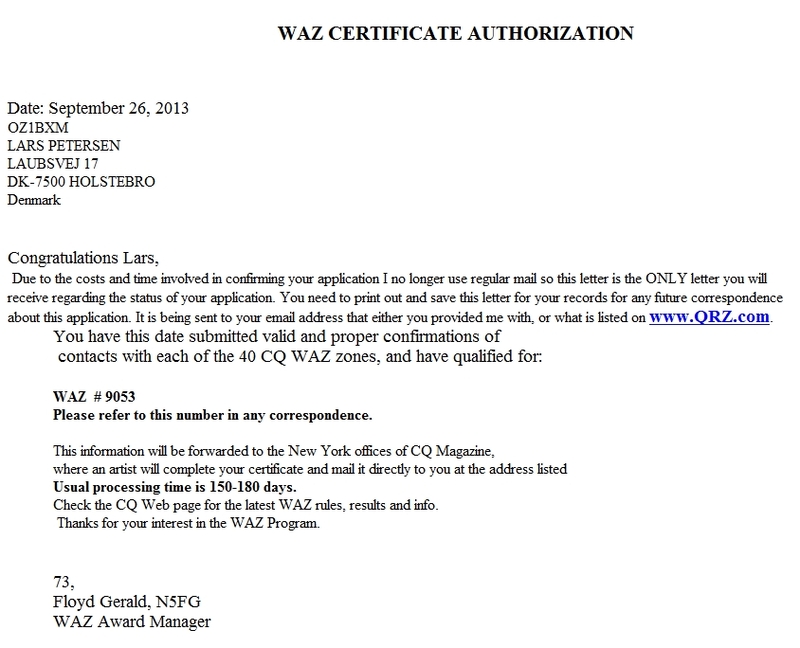 WAZ #9053 was granted to me on 26-September-2013 by the WAZ award manager. 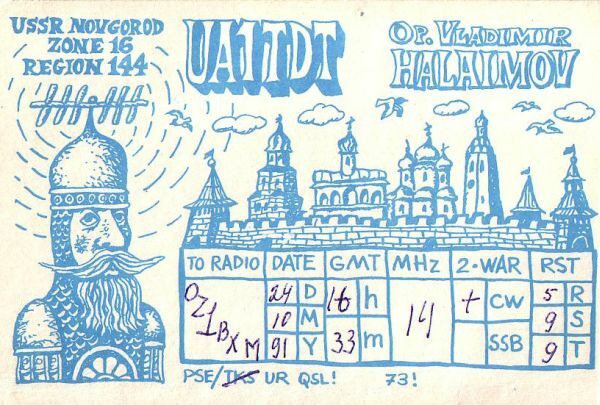 QSL checking was done here in Denmark by EDR award manager OZ1ACB. If you want to submit eQSL, you must at least be a bronze member of eQSL. 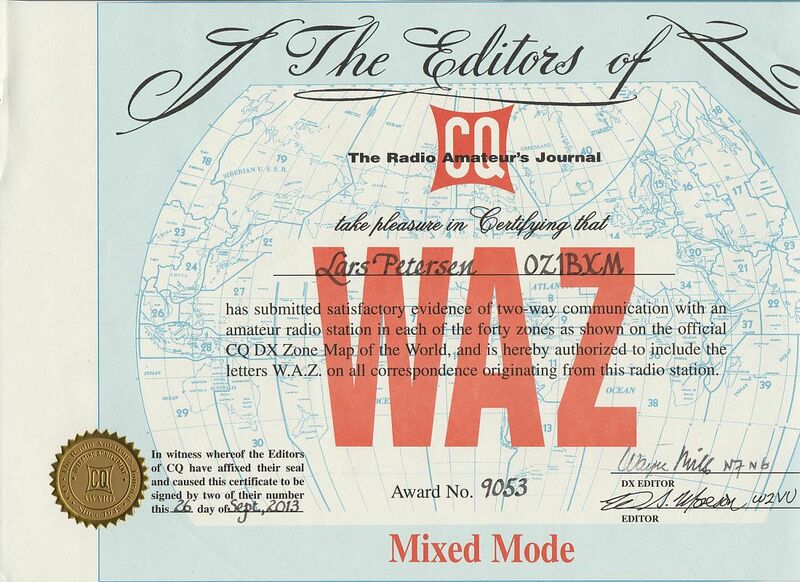 Read more here: CQ to Accept eQSL Confirmations for Award Credit. 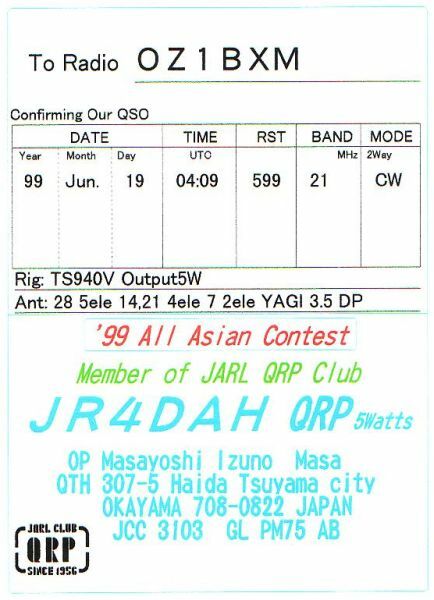 My transmit power was between 5 W and 100 W. Operating modes were mainly CW and JT65A but there is a single SSB QSO in between (zone 37). I used different wire antennas during the years: horizontal dipole, vertical dipole, doublet, GP, horizontal loop, and delta loop. I was sitting at the desk in my radio room. It was still daylight outside and there was 30 min. to sunset. The local daylight saving time was 21:38. 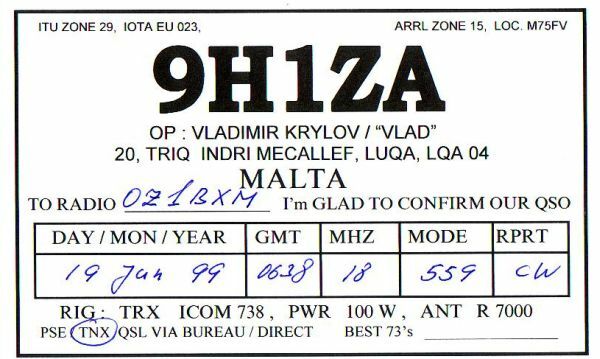 I had JT65-HF running on my computer receiving on 14 MHz. Suddenly, my eyes caught the call DU1GM on the screen. 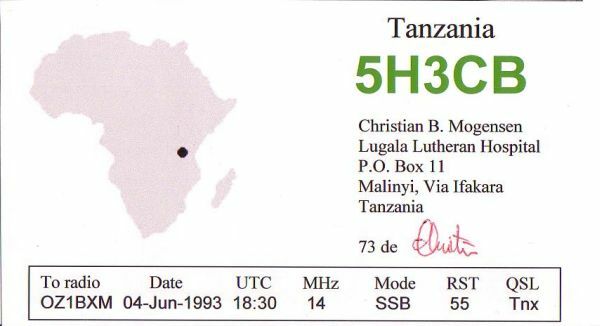 It was highlighted in green indicating that the station called CQ. 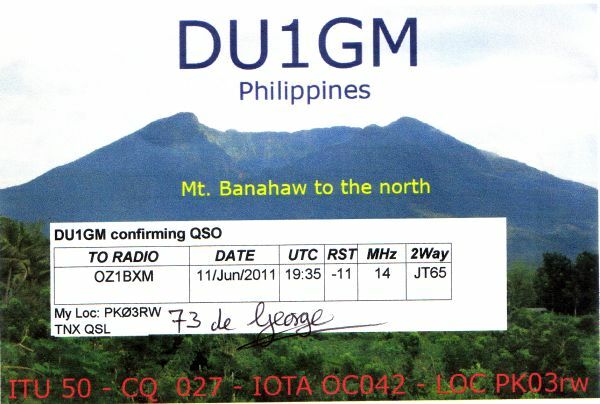 I double-clicked on DU1GM and JT65-HF transmitted "DU1GM OZ1BXM JO46" via my HF transceiver Kenwood TS-850. And much to my delight, the DU-station came back to me. 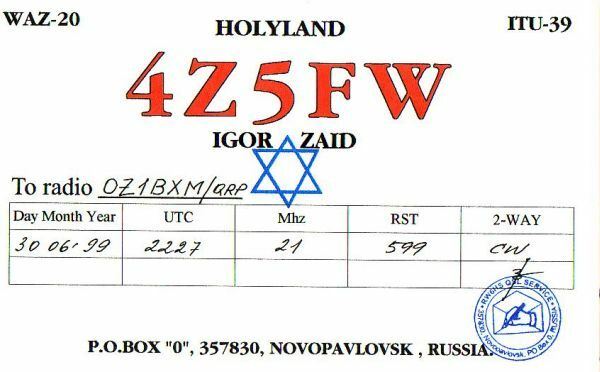 We exchanged reports and he told me, that he used 25W and 3-element yagi. I finished by sending "73". A few moments later, he continued to call CQ. Wow, that was an easy catch, and no pile-up. It was Saturday evening. I sat down at my desk and turned on the radio. I opened JT65-HF and took a look at the screen. I did not expect anything special. 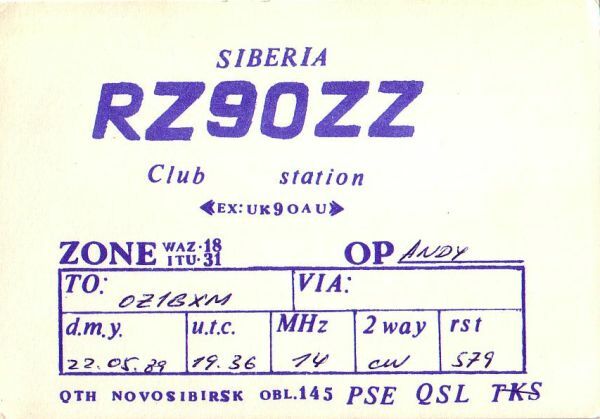 There were only 3 stations transmitting: 2 European stations in QSO and 5R8Z calling CQ. As I had just begun operating, I did not know how long time the Madagascar station had been on. I called him right away and got an instant reply. 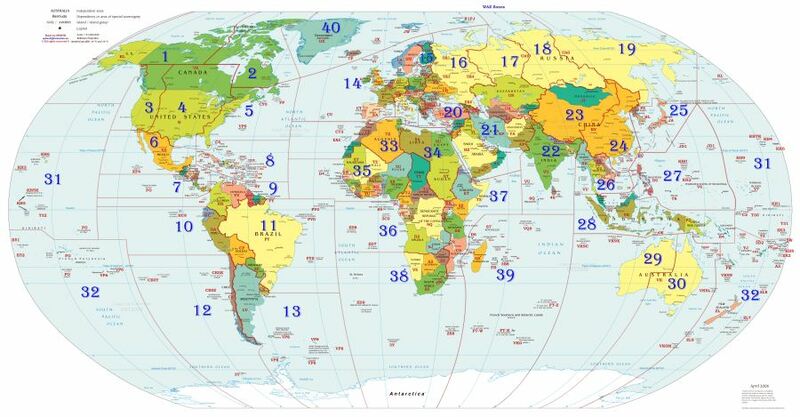 Bingo - a new country and even from zone 39; a zone which I have not yet confirmed. 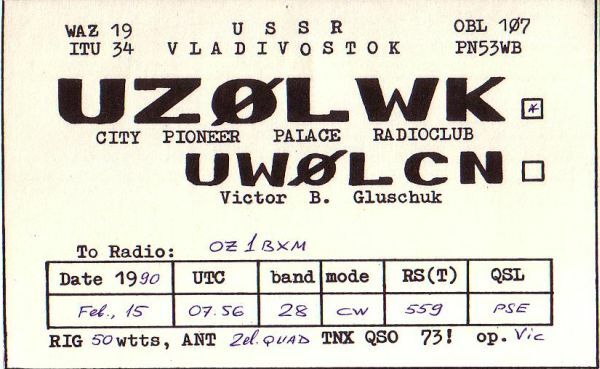 Such a QSO makes a great weekend! It's chilly outside this October morning (2° C / 35° F) and it is Sunday. I went to the radio room after breakfast. 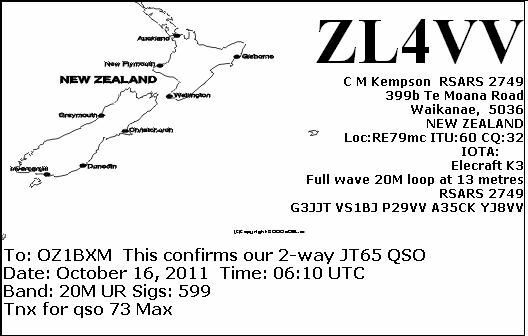 As I heard several ZL-stations before breakfast, I hope the propagation into Oceania will last. I set the radio at 14.076 MHz USB and open JT65-HF. 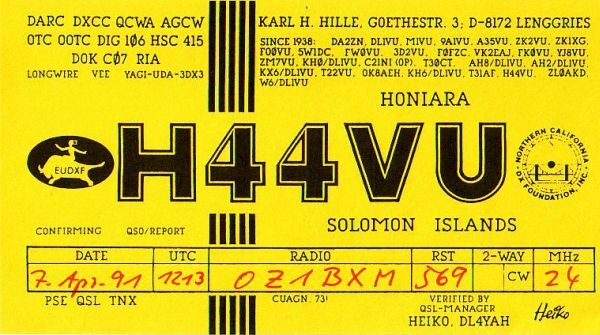 Right, here is ZL4VV in QSO with an ON station. The ZL puts out a decent signal: -14 dB. 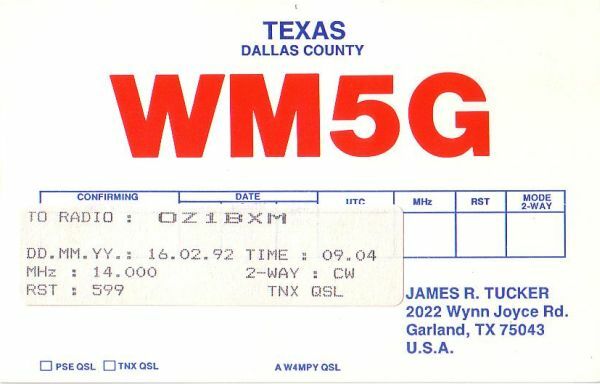 I wait for the ON to finish, then I call "ZL4VV OZ1BXM JO46". 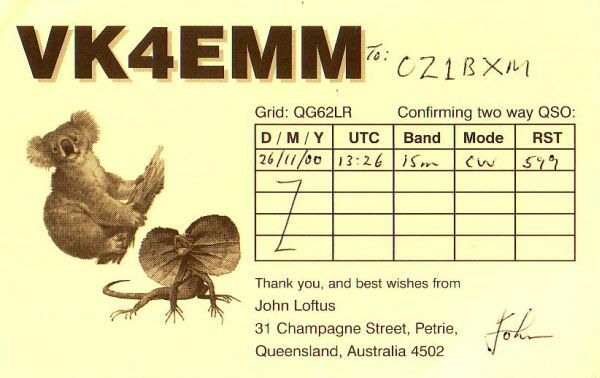 And ZL4VV replies: "OZ1BXM ZL4VV -08". 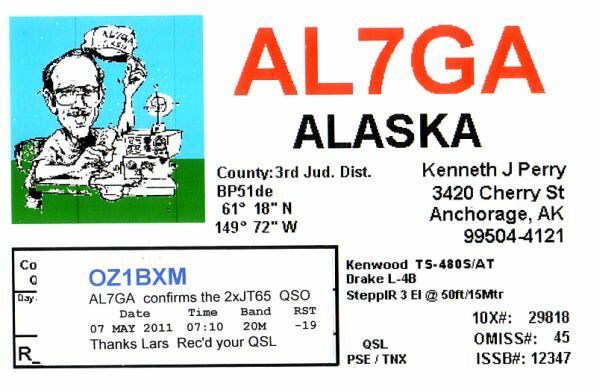 YES, I am in QSO, and my signal at ZL4VV is -08 dB (strong). The signal of ZL4VV has now risen to -10 dB (quite strong). 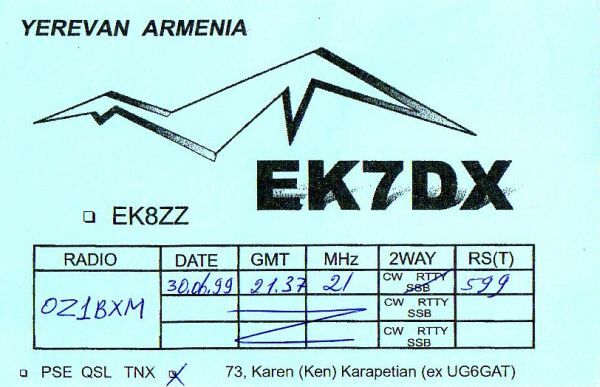 I send the message "NEW DXCC 73" and ZL4VV sends "K3 FWLOOP 73". I know the K3 transceiver from Elecraft, and the full wave loop is the same kind of antenna that I use. 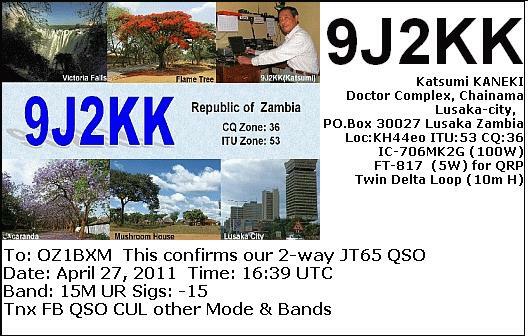 I have just worked a new country (ZL) and a new zone (32). What a nice Sunday it is! It was in the middle of the night (03:18 AM) on the second day of the contest (Sunday). I discovered his frequency via the spotting network. The signal from Liberia was strong and steady. 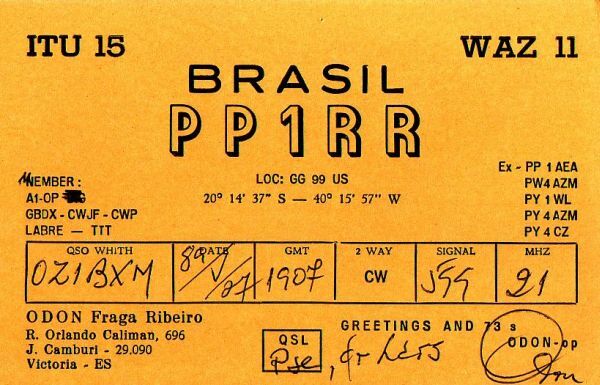 The morse signals came fast at 30 wpm and were easy to read. He was an excellent operator. I only had to call a couple of times before I got through, and joyfully I could log another new country! I discovered his frequency via the spotting network. The operator was sending fast, and his signal was weak. My signal was weak in Panama, too. I had to call many times before he heard me. He got OZ1BX the first time, but asked for call confirmation, and after repeating my call twice, he got it right. It was nice to deal with a skilled and careful operator! 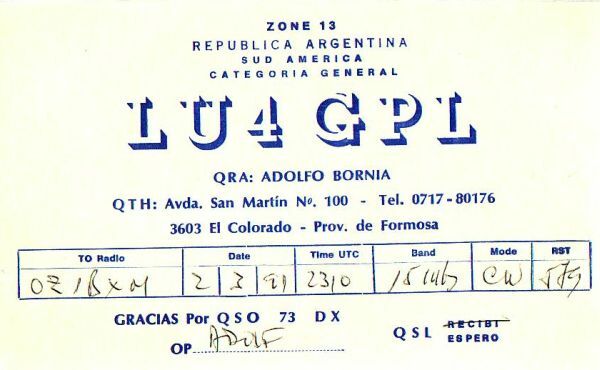 This QSO took place on the first day of the contest (Saturday). 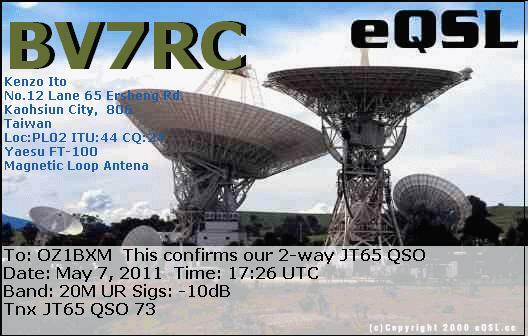 I located the station from Chile on the spotting network. 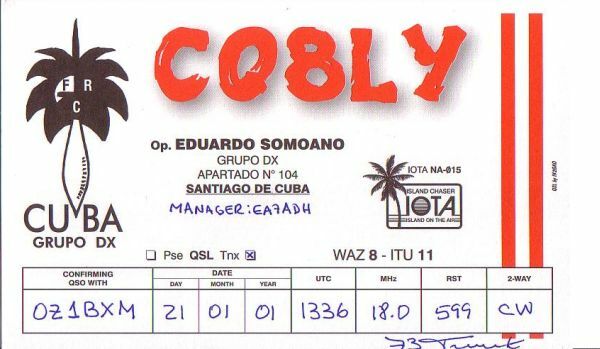 He had logged 484 contacts earlier, so our QSO became his 485th. I called him a few times while his signal was weak - but no succes. Then I waited until his signal became fairly good, and then I transmitted my call once. He came back immediately, and some seconds later I could log a new country and a new zone. Nice. I used CW Skimmer for receiving and WinWarbler (in contest mode) for transmitting. I woke up early this Saturday morning. The sun had just risen, but the daylight was not strong because the sky was overcast. As I often do in the morning, the radio was switched on. I selected 20 meters. This is where you'll find stations all 24 hours. As expected there were several operators active, both from NA and EU. 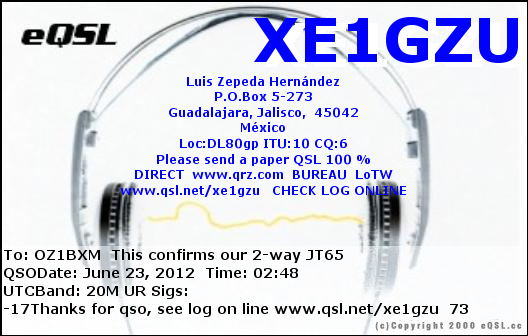 A green line got my attention: XE1GZU called CQ. It was 04:45:55 local time and I had 5 seconds to decide if I wanted to call him or not. I double-clicked the green line in JT65A-HF and my Kenwood TS-850 started to transmit exactly at 04:46:00. 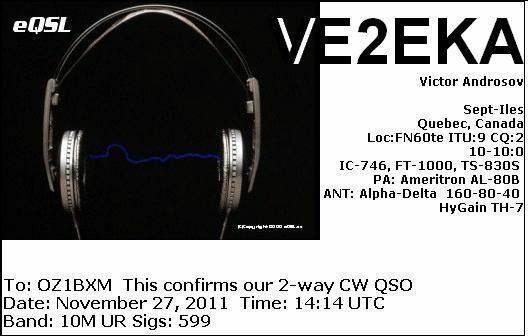 There were other stations on the air, so I was not sure to get a QSO. 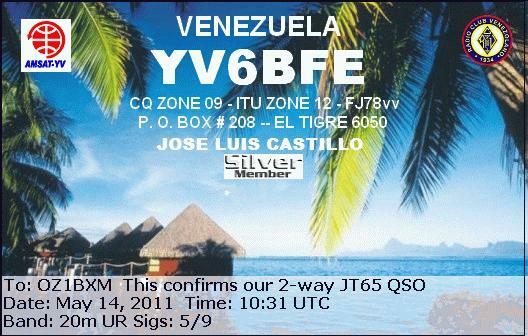 But Luis heard my call and we had a standard QSO. 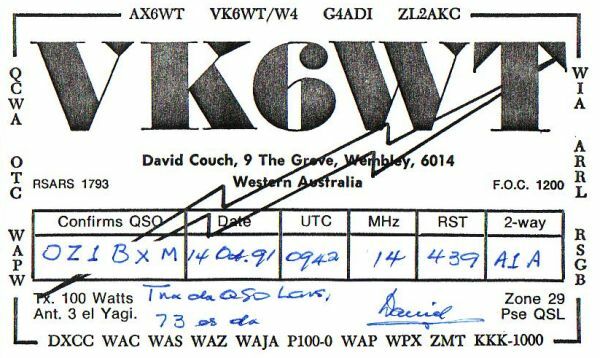 Five minutes later, I downloaded his eQSL. Hooray - my last zone finally worked and confirmed! I wonder which zone will be most difficult for me to work? Zone 2: Medium distance from OZ; almost no ham population. Zone 2: Workable in contests. Zone 6: Medium distance from OZ; small ham population. Zone 6: Workable in contests and occasionally. More difficult than zone 12. 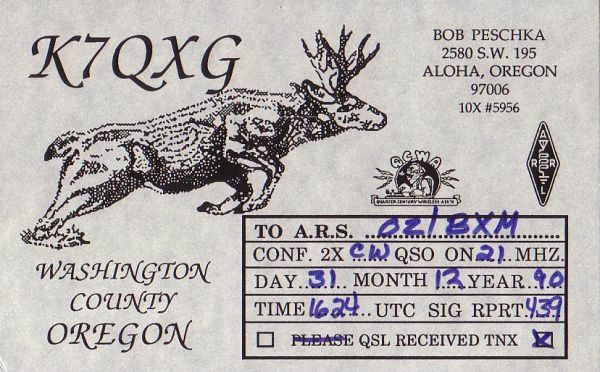 Zone 12: Long distance from OZ; small ham population. Zone 12: Workable in contests and occasionally. Zone 32: The longest distance from OZ; many skilled hams. Zone 32: Can be worked almost daily by the skilled ham. 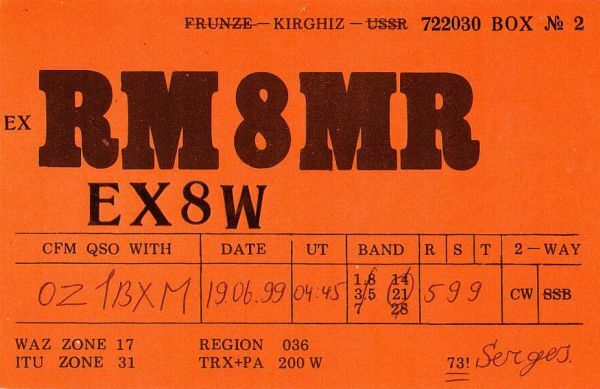 The Reverse Beacon Network is a good place to search for active CW/digital stations from a particular zone. You set the desired zone in a filter, and the search function returns spotted stations from that zone. 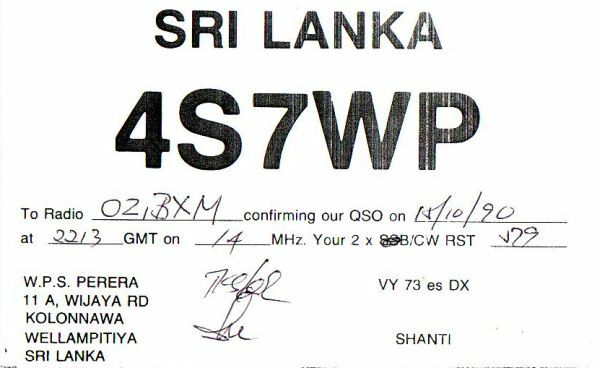 Updated 13-October-2016 by OZ1BXM Lars Petersen.